Stir together the flour, baking powder, salt and sugar in a large bowl. Make a well in the center. In a small bowl or 2 cup measuing cup, beat egg with a fork. Stir in milk and oil. Pour all at once into the well in the flour mixture. Add the Hershey's Mini Peppermint Patti baking chips. Mix quickly and lightly with a fork until moistened, but do not beat. The batter will be lumpy. 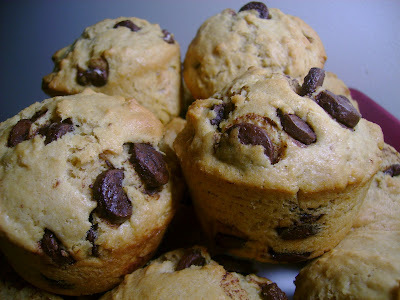 Pour the batter into paper lined muffin pan cups. Bake for 25 minutes, or until golden.